While there are many consequences for drinking alcohol excessively, perhaps the most dreaded is the hangover. Most people that drink will sooner or later experience a hangover. More than 75 percent of people who drink have had at least one hangover and 15 percent of all drinkers have one at least once a month (a sobering statistic?). 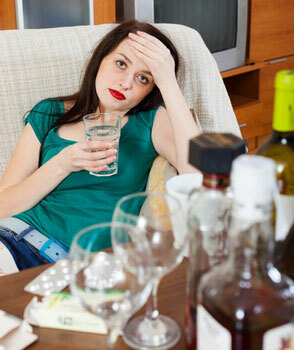 About 25 percent of college students experience hangover symptoms weekly. There are many claims regarding hangover cures, some of which are true and some of which are not. Here are some natural ones — a few of which may surprise you. Drinking water before, during and after you drink can help rinse toxins out of your body. A good rule of thumb is one glass of water with every drink. Two cups of water before bed is also recommended as well as some water in the morning. Other drinks besides water can help. Tomato juice can help, perhaps with added ingredients like cayenne pepper, sugar or lime. Water with a little sugar and salt (particularly sea salt) is also recommended. Honey and bananas are both recommended as hangover cures because they contain potassium, which you body will want to replenish. Honey also contains fructose, which can help metabolize your body, and anti-toxidants. In fact, honey on toast (carbohydrates will soak up alcohol and process) may make a perfect breakfast. You can also use a natural potassium supplement. Fruit juice, particularly if it is freshly squeezed, also contains fructose. It can also replace essential vitamins lost during drinking and raise blood sugar levels. Orange juice, however, may not be recommended for a delicate post-hangover stomach. Chicken soup can provide vitamins and nutrients, dehydrating your body while not being too taxing on the stomach. Homemade chicken stock is particularly recommended because of its mineral content — stay away from store-brought chicken broth if possible due to the large amount of artificial ingredients. Bathing in Mustard or Wasabi? A third of the toxins leaving your body go through the skin, according to one online source. While a simple bath is recommended, it can really help if you add ingredients that will detoxify your body. These include Epsom salts and herbal blends. 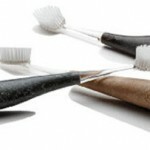 One online sources recommends a blend of apple cider vinegar, baking soda, bentomite clay, sea salts and essential oils. In fact, essential oils containing ingredients such as eucalyptus, lavender, lemon, oregano, peppermint or thyme are recommended. But mustard, which is known for its ability to draw toxins from internal organs and improve circulation, is also good. There are mustard-based bath powders that can benefit someone suffering from a hangover. Adding a few spoons full of mustard powder to your bath can also help. Wasabi, or Japanese Horseradish, is best known as something that you put on your sushi. But it can also help because it increases blood circulation in organs and helps cells to create more oxygen — a major help in detoxification.